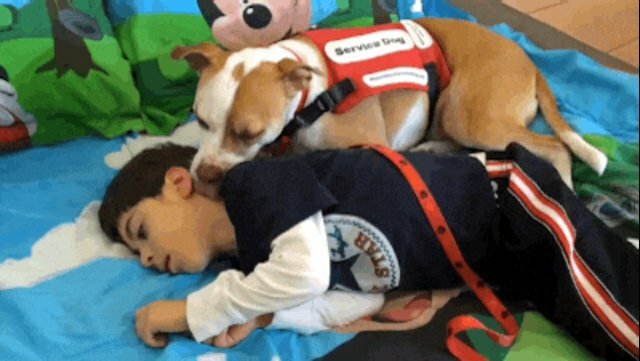 A sweet-natured pit bull named Stevie will be allowed to accompany his human to school each day, a federal judge has ruled - a victory for the rights of certified service animals like Stevie, and especially for the youngster who relies on him so much. Seven-year-old Anthony has cerebral palsy, and therefore requires a little more help with things than most children his age. Fortunately, Stevie is always there to walk alongside him, offer him comfort and alert grown-ups when something is wrong. But for the past two years, officials at Anthony's school in Broward County, Florida, said his dog couldn't accompany him to class, reports the Miami Herald. Since then, Anthony's mother Monica Alboniga has been fighting in court for her son's right to take Stevie to class. 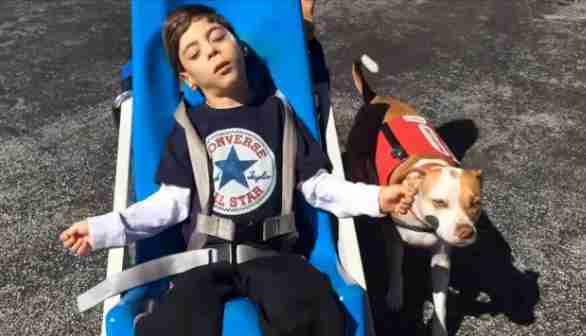 She feared that the school's strict rules regarding service animals would get her son expelled. "I feel completely safe every time he is with the dog, because I know the dog will look for help," said Alboniga. "When Anthony is having convulsions, [Stevie] starts barking and goes looking for us. Then he goes back to Anthony and stays with him." Among the rules put in place by the school required Alboniga to pay for a "handler" to accompany Stevie and Anthony - a requirement so prohibitively expensive, her lawyer called it "an impossible barrier." After a long legal battle, U.S. District Judge Beth Bloom issued her ruling - and she sided with Stevie. "Stevie is fully trained. Throughout the school day, Stevie simply stays by [Anthony's] side," Bloom wrote. 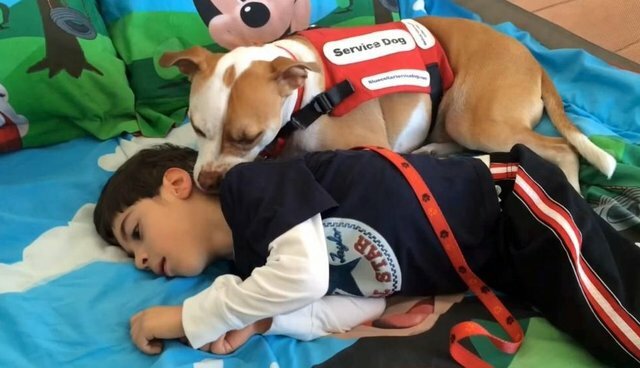 "Given the specific facts here, having Stevie tethered to [Anthony] in school would constitute control by [Anthony] over his service animal as the animal's handler with the meaning of the regulation. As such, permitting [Anthony] to attend school with Stevie tethered to him would be a reasonable accommodation required of the School Board." Under the Americans with Disabilities Act, schools aren't allowed to separate people from their service animals. The extent of that law has been challenged before, but Stevie's case could set a precedent. "He is a very good dog," Alboniga told the Herald. "He is very sweet, and very obedient. He is the best there is."